The Shilluk people originated from South Sudan, where they reside on both banks of the river Nile, in the vicinity of the city of Malakal. They are the third largest people group behind the Central Dinka and the Nuer people groups in South Sudan. 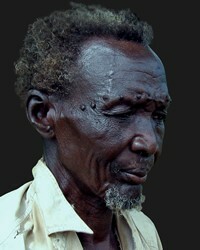 Linguistically, they speak Shilluk, a language closely related to the Anuak people group. Religiously, a large percentage of Shilluk pride themselves in being Christian. However, the majority are nominal Christians who mix their religious practices with traditional African religions. Their traditional African religion prohibits approaching God directly making the necessity of dead ancestors intervening on their behalf. With the above in mind, they are believers of spiritualism and/or Christianity (Catholicism and Protestantism). Moreover, they collectively seek to pass their traditions and beliefs on to the next generation. Pray Christians living near the Shilluk will exhibit authentic expression of the message of Christ both in word and deed. Pray evangelical Shilluk will boldly share their faith in Christ with unreached Shilluk and other African people groups.